When hunger threatens the future of a child it also threatens the future of our region and impacts us all. 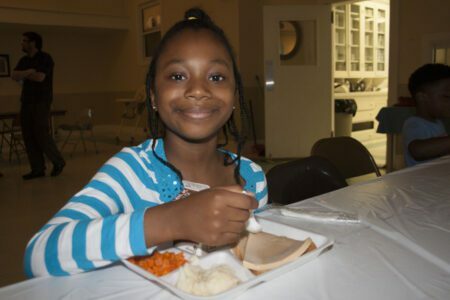 Together with partners like FOCUS Pittsburgh and our generous donors, the Food Bank is addressing food insecurity in Pittsburgh families by providing nutritious weekend meals to students through the Backpack Program. Children in need are given a backpack of healthy food and snacks when school is out on Friday so that they have something to eat over the weekend. The backpacks also hide the fact that children need help, reducing the stress some kids might feel about their situation. Today our Backpack Program is in 21 schools, reaching more than 3,000 students every week. Our goal is to reach 20,000 kids in need by 2025. Backpacks alone will not solve childhood hunger, but they do provide immediate relief for children and families.